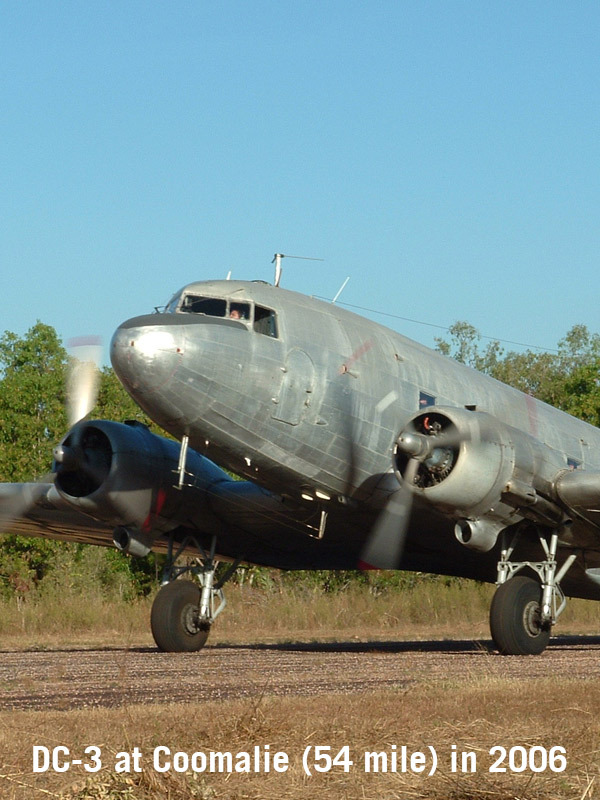 Check out all the RAAF and USAAF sites around the NT. Check out all the AIF/CMF and US Army sites around the NT. Various historical collections relating to the NT during the 2nd World War. 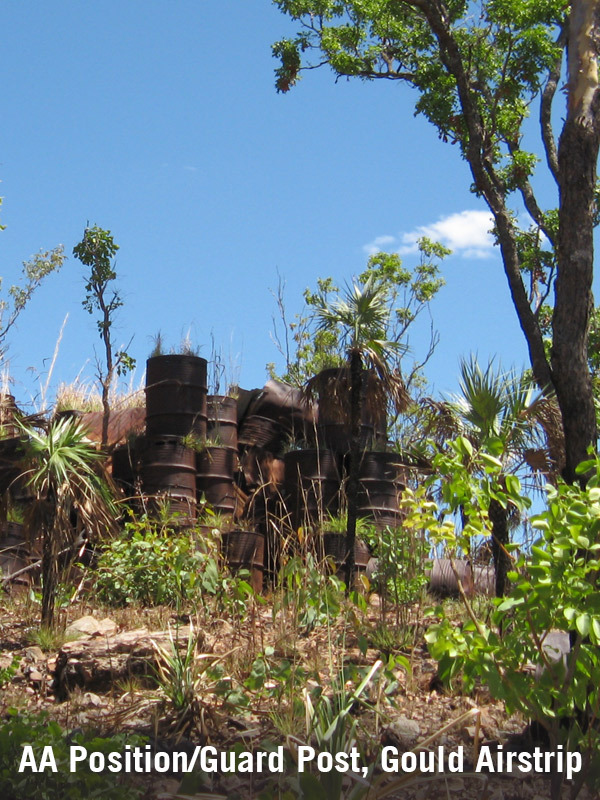 Welcome to Miles Peg NT, a site that aims to gather together stories, photos, recollections and maps of World War 2 sites along the Stuart Highway in the Northern Territory, Australia. The purpose of which is to present and thus preserve a picture of what life was like for the Allied Servicemen and women that served at these sites following the bombing of Darwin on the 19th of February 1942. As such, this site will be dependent on contributions from people willing to share such information to be displayed on the site and will therefore be a continual work in progress. The bombing of Darwin on the 19th of February 1942 is historically a very important date in the history of the Northern Territory. As such it commands a considerable amount of attention by the media and in other publications. The bombing on the 19th however, was not the end of the conflict and the war continued in the Northern Territory until 1945. It is this period, spent along the North South Road, that this website attempts to document for prosperity. Living in the Northern Territory for most of my life, I became interested in WW2 at young age during my years in Primary School. My interests then of course revolved around air combat and the fighter and bomber exploits in Europe. As time moved on and I traveled around the NT, interest also began to move in the direction of the Second World War in the Northern Territory and a visit to Hughes Airfield in 1994 and Fenton Airfield in 1995 got me hooked. In the years 2000 to 2002 I created a website called 'The Fenton and Long Airstrip Research Page' while I was studying at university. As I had very little time to maintain the site following my first placement at a school, I unfortunately had to take the site down. Since then interest also shifted to include Army sites as well as those of the Air Force. I have visited many historic sites in the NT in the company of my father and have slowly been accumulating a wealth of documents, information and pictures that I feel need to be shared with others in order to build up an online repository of information regarding these sites. I hope this site will be a worthy successor to my earlier efforts. I currently teach History at a local school in Darwin and have a strong passion for NT WW2 history. I hope this site lives up to the expectations of the servicemen and women from the many and varied units who toiled, marched, flew and fought in torrential downpours and in thick spear grass to create the way of life we currently experience in the Northern Territory.